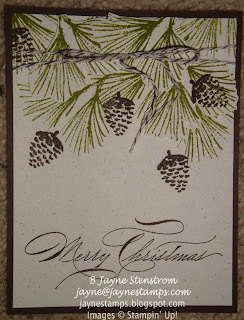 I do have some more Watercolor Winter cards to share with you today. 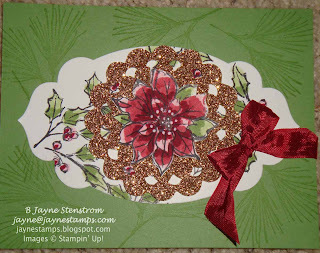 I know you didn't come here just to hear about my computer issues, did you? 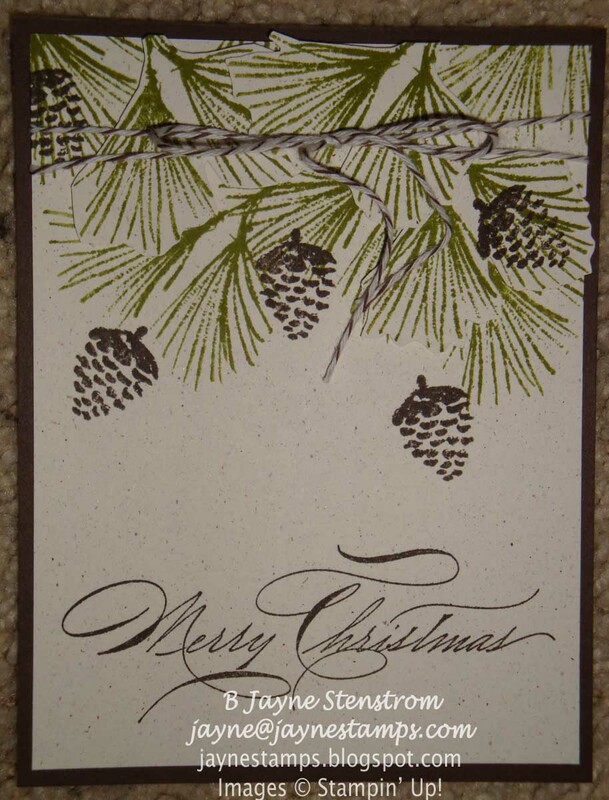 Diane Kipp created this card. 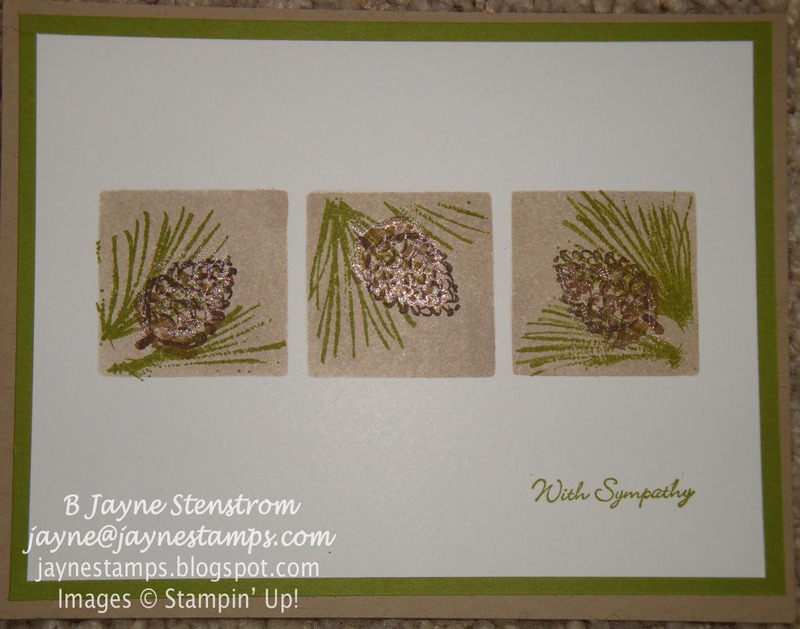 The pine cones are stamped in Chocolate Chip and then over-stamped with Shimmer Paint. This card has the bling factor going on! 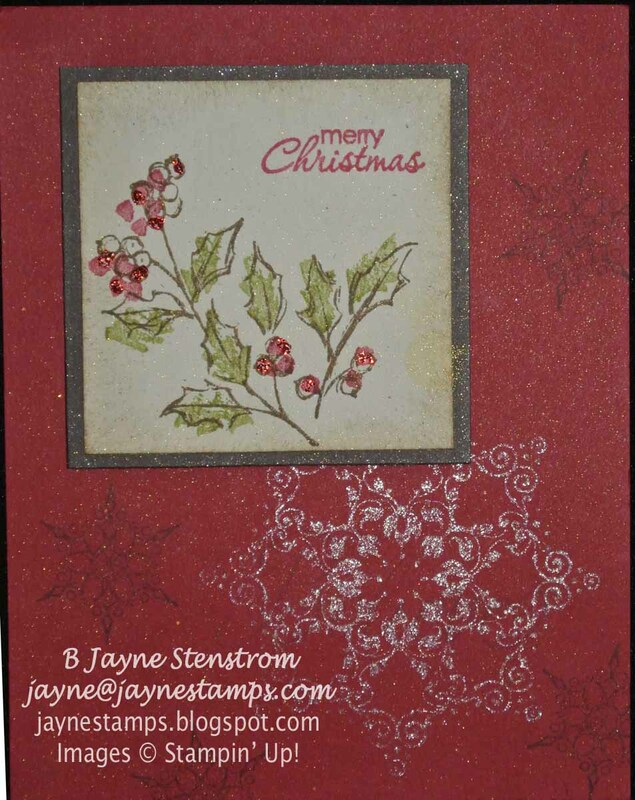 Elegant card - was spritzed with either Smooch Spritz or Shimmer Paint mixed with rubbing alcohol. 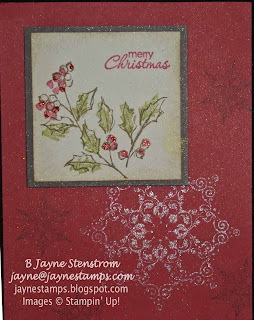 And I promise, I have cards to show you that use stamps sets other than Watercolor Winter. 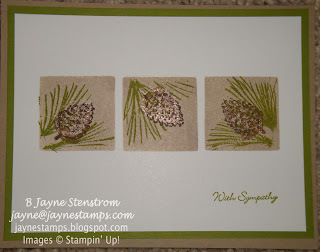 I can't help it if that's one of my favorite stamp sets, can I?